Wine by Sam was started by husband and wife team Sam Plunkett and Bron Dunwoodie in 2012. While our winery is relatively young, our story actually dates back to 1968 — the year our winemaker Sam was born — and when his dad AlanPlunkett planted the first vines in the Strathbogie Ranges. Sam grew up in the Strathbogie Ranges on his family’s farm and got his first real taste of wine when he worked a vintage as a cellar hand at Tisdall Wines in 1986. 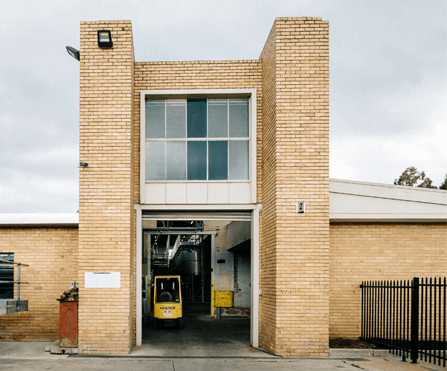 He loved it, and in 1991, Sam returned home from Melbourne with an economics degree and a chance to make wine for his family business — Plunkett Wines. In 2004 an opportunity to further expand Plunkett Wines came up when a large neighbouring winery came up for sale. Sam and Bron decided to partner with another family to use their combined winemaking and marketing smarts. They launched many successful brands and won numerous accolades including the Great Australian Shiraz Challenge Trophy for ‘Australia’s Best Shiraz’. But in 2011 the partnership dissolved and they were at a crossroads about what to do next. Sam started his Master of Wine and began dreaming about how he could get his hands purple again, when something truly beautiful happened … He was inundated with love and support from people who wanted to help him make wine again. 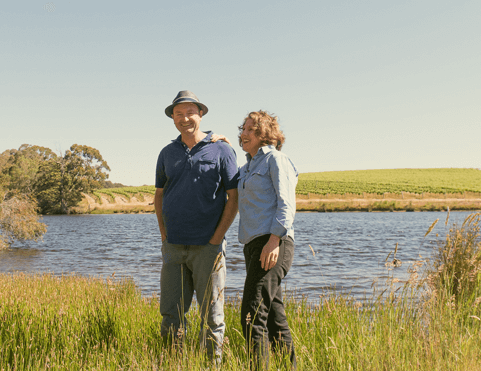 The Taresch family of Elgo Estate leased Sam space in 2012 at their winery in the Strathbogie Ranges, a number of local growers gave him some lovely fruit, and online wine retailer Naked Wines placed their first order with Sam in 2013. And with this, Wine by Sam was born. There are those years when Mother Nature throws a tantrum, and it takes all of your courage, strength and skill to nurture fruit into bottle. And it’s this rollercoaster of excitement and challenge that stirs our winemaking soul and keeps us thirsty for more year after year! The fact that no two vintages are ever the same, and that each parcel of fruit has its own personality, means our winemaking approach varies depending on what we get and what we hope to achieve. Sometimes we want to make honest and easy-going wines for everyday sipping, and other times we want to make complex wines that taste of where they’re from and stimulate the mind as well as the palate. 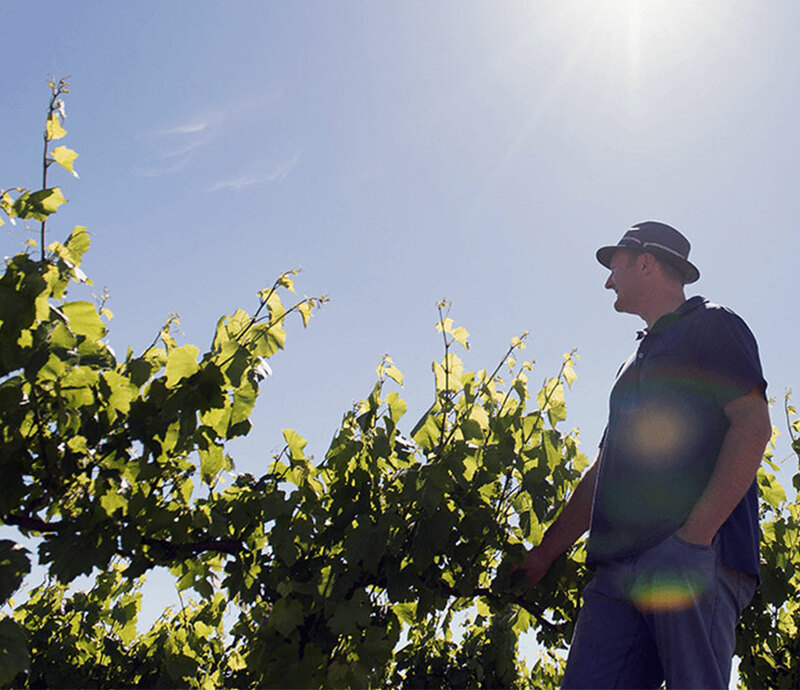 Whatever our aim, our winemaking philosophy is the same — make the very best wines we can that honour the quality of the fruit and reflect our integrity. While we love the romance of doing things the old-fashioned way, we’re big fans of modern winemaking technology too. In fact, nothing lights up Sam Plunkett’s (our winemaker) eyes more than a cutting-edge gadget! Winemaking is a craft where art meets science, and if there’s evidence to show that an innovation can improve the quality of our wine then we’re happy to embrace it. For us, the more tools we have — both traditional and novel — to help us harness a wine’s potential, then the greater our options are for showcasing it in all its glory. And if our winemaking ancestors could visit us now, we reckon they’d want to time-travel back with some of our modern technology to complement the ancient knowledge they gifted us. After all, it’s only by referencing the past, living in the present and looking to the future that we’ll evolve and continue to make the best wines we can. Our family vineyards rest high in the elevated and cool Strathbogie Ranges among the region’s distinctive giant granite boulders. 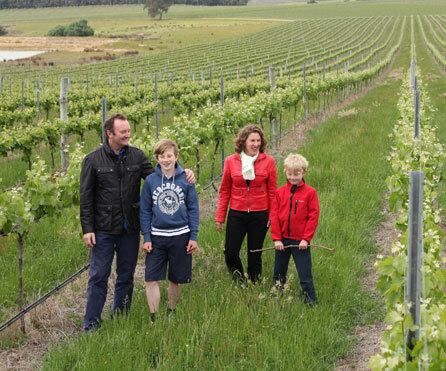 Sam Plunkett’s family was the first to plant vines in the region in 1968, and this kick-started the Strathbogie Ranges being recognised as an official Australian Wine Region when it got its own Geographic Indication in 2002. And the fruits of the Plunkett’s labour are still being enjoyed in our award-winning wines today. Our region is called the Strathbogie Ranges. ‘Where’s that?’ we hear you say. Well, we’re glad you piped up because we get asked that question a lot. 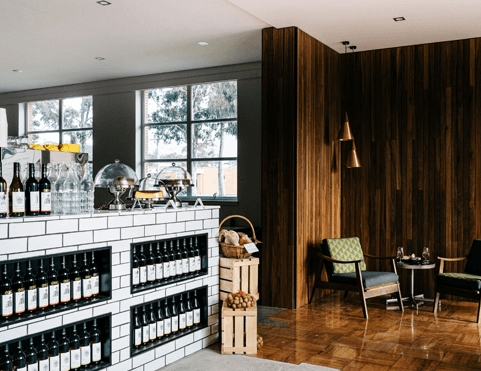 It’s a relatively unknown gem of a wine region in Central Victoria that’s wedged between the Upper Goulburn and Goulburn Valley wine regions. Rising above surrounding regions, the Strathbogie Ranges is sprinkled with massive granite boulders meaning it does quite literally rock when it comes to wine! And it’s these big stones, and our region’s unique soil, climate and winemaking culture, that gives our Strathbogie Ranges grown wine its own unique taste of place or ‘terroir’ as the French call it. So, let’s take a closer look at the different elements that make our wines special. The Strathbogie Ranges were formed more than 360 million years ago when the region’s geological foundations were laid. During this time, the ranges were pushed up through layers of sedimentary rock by intense volcanic activity to become a mountain — or a massif, if we’re being technical — of hard granite. Over millions of years, much of the softer sedimentary rock that used to cap the Strathbogie Ranges, and some of the granite, eroded into the Goulburn Valley leaving behind the big old boulders we still see today. Thanks to our geological history, the soil in which our grapes grow are nutrient poor sandy loams with a high granitic content overlaying a granite base and some sheet rock. And it is the distinctive qualities of these soils that help give our grapes and the resulting wine their unique character.Our lofty location between 450-500m above sea-level means that our vineyards experience a cooler, longer growing season, and the Strathbogie Ranges position on the northern side of the Great Dividing Range means we enjoy a dry and sunny climate. Together our elevation and our region’s cool climate provide the conditions that allow us to produce intense, highly aromatic, and complex wines with power and great balance.